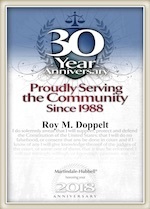 The Law Office of Doppelt and Forney, APLC practices family law in all of San Diego County. This includes divorce, legal separation, child custody, child support, prenuptial agreements, and more. We offer all potential new clients a free consultation to go over their case and discuss their legal goals. If you retain our services, we are a full-service law firm. Leave all the confusing paperwork, filings and pleadings to us. Call today at (858) 312-8500 to schedule a free consultation with an experienced San Diego divorce attorney and learn how we can help you. Looks like there is already trouble in paradise for Nicholas cage and wife Erika Koike. Nicolas Cage and Erika Koike got married last Saturday, the same day they applied for a marriage license. The couple has been together since April 2018. Just four days after the wedding, Cage filed for an annulment, claiming fraud. He and his wife had been “drinking to the point of intoxication” before getting married, and that he “lacked understanding” of what he was doing. An annulment is a way to void a marriage. If you are granted an annulment, it is like the marriage never happened. You have to meet certain standards in order for annulment to be an option. For example, fraud or if one/both of the parties are underage. He also claimed that Koike did not share the extent of her relationship with another person, or disclose her criminal history, including charges that were still pending. Even before the Las Vegas wedding, photos emerged of them involved in a heated argument outside of their hotel. Hours after the wedding, they were seen arguing again. Witnesses reported she was yelling at him. He has been married three other times, to Alice Kim, Lisa Marie Presley and Patricia Arquette. Call The Law Office of Doppelt and Forney, APLC for a free consultation at 858-312-8500. We proudly serve clients in San Diego and surrounding communities, including Coronardo, Carlsbad, 4S Ranch, Rancho Bernardo, Poway, Encinitas, San Marcos, Carlsbad, and all nearby communities.